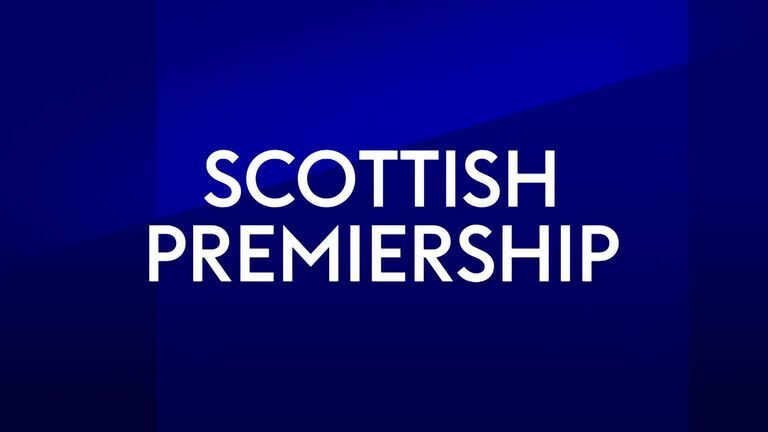 Ahead of another weekend of Scottish Premiership action - the Sky Sports commentator team of Ian Crocker and Andy Walker give their predictions in each of the six matches. After last weekend's defeat to Kilmarnock, it has been well documented this is the worst league start Celtic have had to a season in 20 years. The double treble-winning side have won three, drawn one and lost twice already in the opening six games. They sit six points behind leaders Hearts after failing to win their last two league matches. Aberdeen have also had a disappointing start to the season by their recent standards. They are one place below Celtic, just outside the top six, after two wins, three draws and a defeat from the opening matches. Derek McInnes recorded their first win at Celtic Park in the league since October 2004 when Andrew Considine's goal gave them a 1-0 victory on the final day of last season. Leigh Griffiths: 3 goals in 3 games. 150 Scottish League goals. It's what he does. James Wilson: First goal under his belt and Aberdeen will be hoping it's the first of many. Kieran Tierney: Celtic`s best attacking option in recent weeks, a great attitude. Graeme Shinnie: A huge influence on everyone at Pittodrie with his drive and will to win. Dundee managing director John Nelms came out at the start of the week to back Neil McCann at least until after this Saturday's visit to Hamilton. Without a point to their name, Dundee have a goal difference of negative 12 as they sit four points adrift of St Mirren and Motherwell. A defeat against fellow tipped relegation contenders Hamilton could spell the end for McCann at Dens Park. While Dundee went down 3-0 to Hibernian last week, Hamilton won by the same scoreline at home to St Mirren. Mickel Miller notched a double with Fredrik Brustad scoring his first goal for the club. The only points Martin Canning's side have picked up this season have been against the teams currently sitting 10th and 11th in the Premiership. Can they make it a win against 12th position as well? Mickel Miller: Looks full of confidence this season and a 6 goal return already suggests as much. Glen Kamara: Capable of bringing some sort of control to a crucial contest. Ziggy Gordon: A better player in his second spell at the club. Adil Nabi: He looks promising & threatening but not quite ruthless enough to really make it happen. Well the only 100% record in the Scottish Premiership was ended last week as Hearts dropped their first points of the season at home to Livingston. The in-form Steven Naismith missed a penalty for Craig Levein's side, who are five points clear of their nearest challengers. Despite losing that record, Hearts remain the only team in the division yet to taste defeat. Tony Watt spent a spell on-loan at Hearts in recent times but never showed any of the form that has seen him score six goals in his 11 appearances for St Johnstone so far. That's helped Tommy Wright's side to two wins, two draws and two defeats in their opening six matches, including a 5-1 loss to Rangers on Sunday. Michael Smith: Reliable, consistent performer who just gets on with the job. Joe Shaughnessy: Another very steady defender and Hearts may keep him busy. Steven Naismith: Despite his penalty miss last weekend he remains the biggest influence on the team. Drey Wright: Offers pace & penetration in the wide area for Saints. What a dramatic win for Kilmarnock at Rugby Park on Sunday. With no one heeding Chris Burke's calls to take a short corner when entering the 93rd minute of the match, he was forced to put the ball into the box. Stuart Findlay made sure Burke wouldn't regret that decision, with a glancing header that secured victory over Celtic with the last kick of the ball. It leaves Steve Clarke's side one point off of joint second place after three wins, a draw and two defeats so far in 2018/19. Motherwell are a side struggling to pick up their form of last season and sit above the relegation play-off spot only on goal difference from St Mirren. Narrow 1-0 defeats in their last two games against Aberdeen and Hearts show the tight margins in the Premiership this season but Stephen Robinson will be disappointed with the points tally thus far. Chris Burke: Relishing a run in the team but still can't believe he fancied a short corner on Sunday! Conor Sammon: May fancy his chances back at the club he first started scoring for in Scotland. Gary Dicker: Stevie Clarke will be glad to have him back influencing the team after suspension. Tom Aldred: Strong and powerful in the air at all times for Motherwell. Oran Kearney tasted defeat, and a heavy 3-0 one at that, for the first time as St Mirren manager last weekend away at Hamilton. Many would be forgiven for expecting more from the Buddies after their battling 0-0 draw against Celtic the previous weekend. Their only win so far has come against bottom-side Dundee as they sit in 11th place. Hibs have bounced back from their defeat to Livingston before the international break with wins at home to Kilmarnock and a comfortable 3-0 victory at Dens Park last Saturday. Neil Lennon's side are joint second with 11 points on the board, five behind Edinburgh rivals Hearts. Hibs have averaged two goals per game in the league thus far but have let in one per match as well. Ryan Edwards: Plenty of firefighting experience from his time at Partick Thistle. Stevie Mallan: Back to where it all began and he's certainly making his mark on his return to Scotland. Stephen Mallan has scored three goals in eight domestic appearances for Hibs this campaign. Cameron McPherson: Could be a big season for the Saints 19-year-old midfielder. Martin Boyle: Being touted for international recognition following a consistent run of form. Midfielder Cameron McPherson in action for St Mirren. You'd have thought Hearts' fantastic start would be the biggest surprise package of this year's Scottish Premiership but newly-promoted Livingston are giving them a run for their money. They sit joint second alongside Rangers and Hibernian after staying unbeaten in the league since their opening day defeat to Celtic. Livingston have amassed an impressive 10 points from a possible 12 since Gary Holt replaced Kenny Miller in the dugout. Level on points with Hibs and Livingston, Rangers have won by four clear goals against both Dundee and St Johnstone since their Old Firm defeat to Celtic. Add in to that a battling 2-2 draw away to Villarreal in the Europa League and Steven Gerrard will be pleased with the response since Olivier Ntcham's goal on the 2nd of September. Five different scorers last week shows the attacking prowess of the Ibrox side - they've notched the most goals with 15, three more than the league's next top scorers Hibs. Shaun Byrne: Played every minute of every game and like it was his last minute! Scott Arfield: Scored in his last 2 matches but won't mind a battle either. Liam Kelly: Never easy to leave a big club but the decision to move away from Rangers to get a game every week has definitely improved his game. Glenn Middleton: Scored against Dundee as a sub & followed it up with a double against Ayr Utd in midweek.